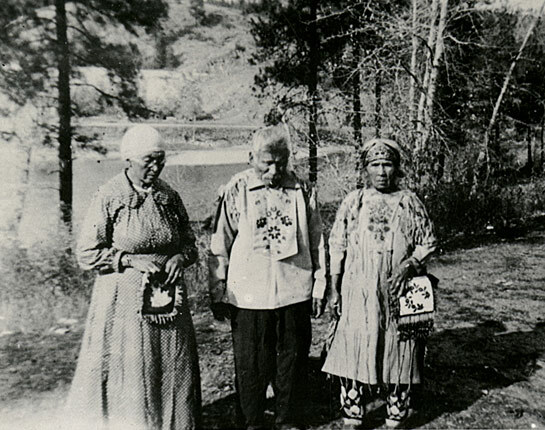 In the mid 19th century, the formerly nomadic aboriginal tribes in North Central Washington began to settle along prominent waterways to trade with Canadian and European explorers and settlers. 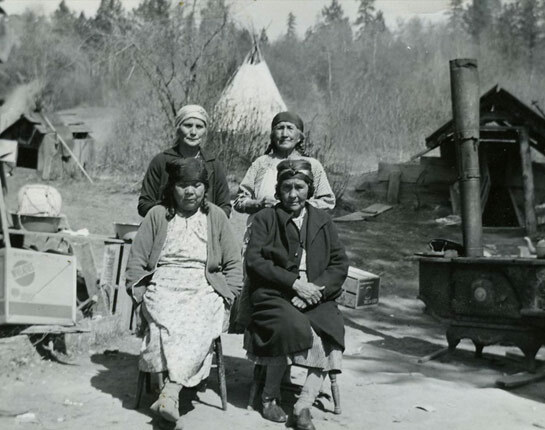 It was not long before disputes over land ownership between natives and newcomers became common. 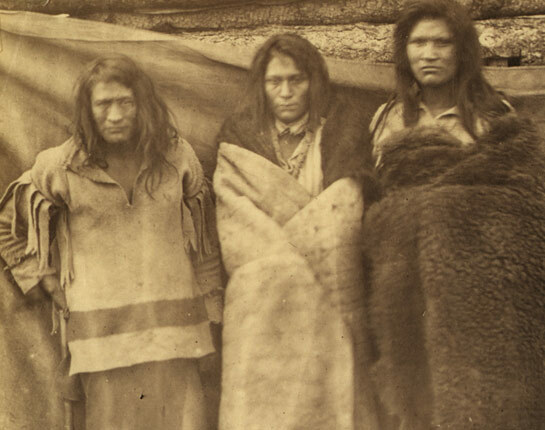 In 1872, President Ulysses S. Grant signed an Executive Order establishing the Colville Indian Reservation along the Columbia River, where Native Americans from 12 tribes were designated to live on several million acres of land. 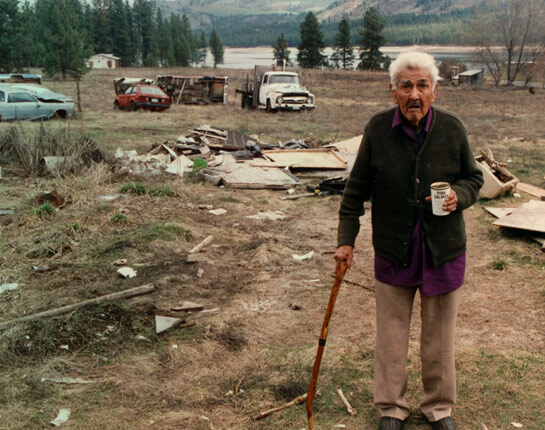 Twenty years later, the reservation was reduced to 1.4 million acres. In 1940, seven years into the construction of the Grand Coulee Dam, the reservoir behind the dam (Lake Roosevelt) began to fill. The water level rose rapidly, submerging around 18,000 acres of land in the Colville Reservation—inundating homes, ancient fishing spots, and historic cemeteries. 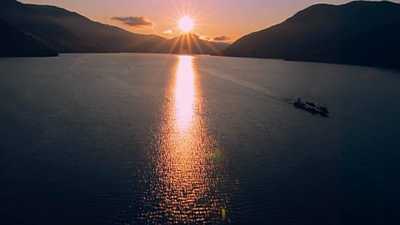 The U.S. government established the Colville Indian Reservation in 1872, providing a permanent home for a dozen nomadic groups of aboriginal people on and around the Columbia River. 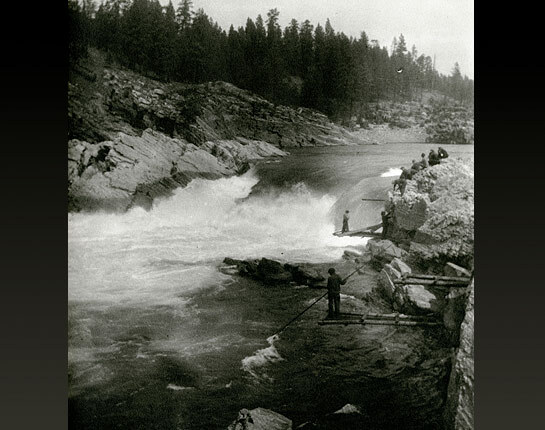 Kettle Falls had been a historic salmon fishing spot for Native Americans for around 7,000 years. 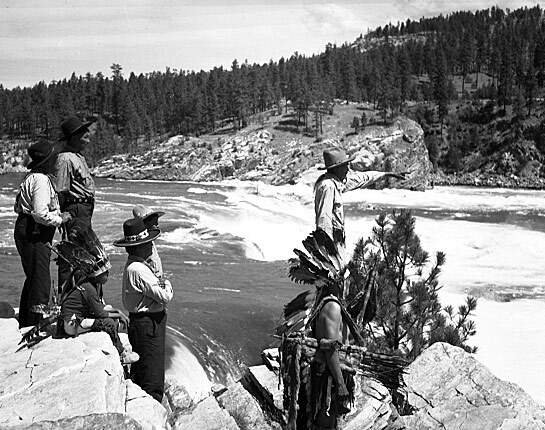 Native American fishermen typically stood on wooden platforms or rocks and used 20-foot poles with a net attached to the end to scoop up salmon just below the falls. 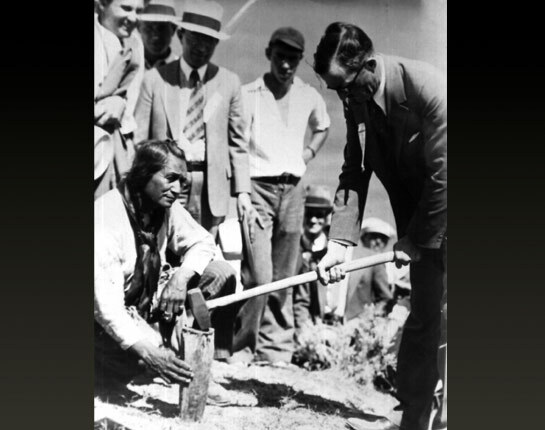 At a ceremony commemorating the start of construction on the dam on July 16, 1933, San Poil Chief Jim James holds a spike for Washington Governor Clarence Martin. 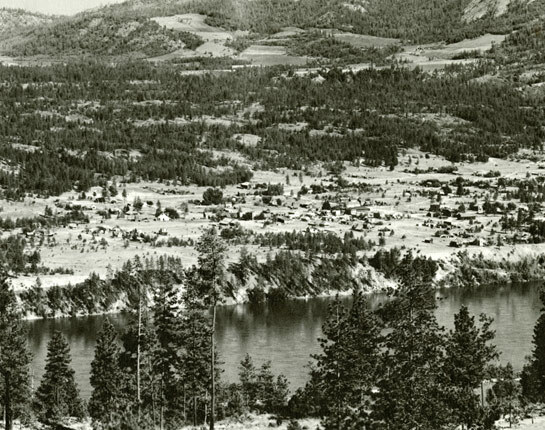 The town of Kettle Falls, WA was established in 1889, with financing from investors who envisioned a beautiful Western town complete with hydroelectric power and luxury hotels. 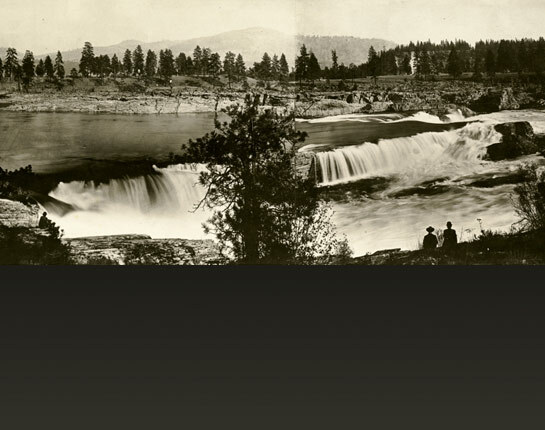 When the banks of the Columbia began to rise during the construction of the Grand Coulee Dam, Kettle Falls relocated to higher ground. Located 109 miles upstream from Grand Coulee Dam, Kettle Falls would be submerged under the rising waters of the Roosevelt Reservoir in 1940. 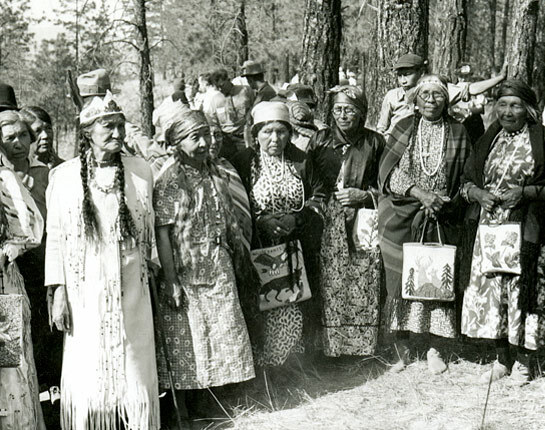 In June 1940, hundreds of Colville Indians held a "Ceremony of Tears" to celebrate the historical and cultural significance of Kettle Falls before it was submerged. 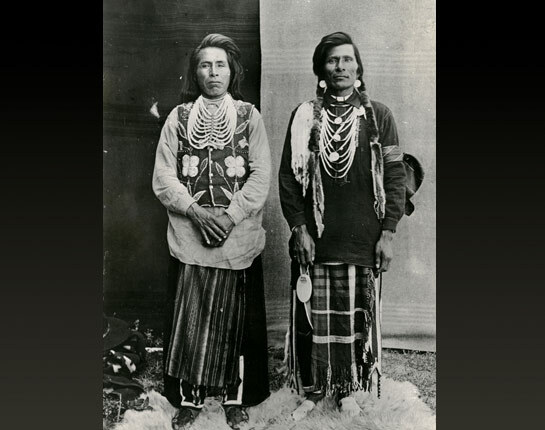 At the "Ceremony of Tears," Colville Indians in traditional dress played games and performed time-honored dances. 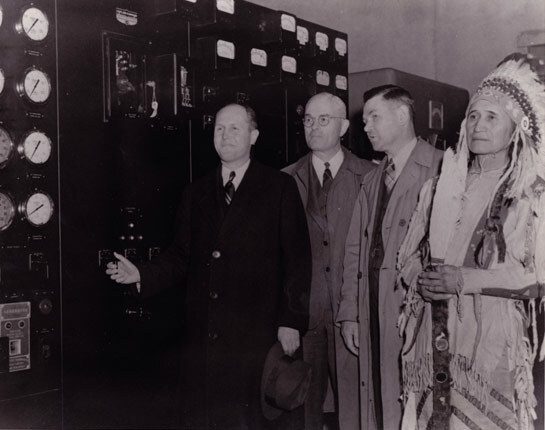 At a ceremony on March 22, 1941, Washington Governor Arthur B. Langlie (left), Chief Engineer Frank Banks (second from left), and San Poil Chief Jim James (right) switched on the dam's electrical generators for thousands of onlookers. 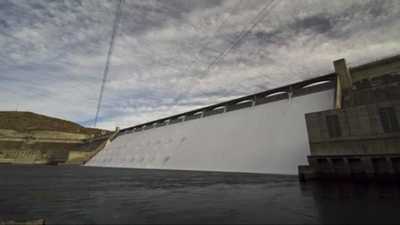 Although residents of the Colville Reservation had been promised a portion of the revenue from the dam as well as a discounted price for electricity, they ended up paying a higher utility rate than citizens off the reservation for many years. Colville men David Nanamkin and Peter Paul pose for a portrait. Martin Louie Jr. holding can of pink salmon. 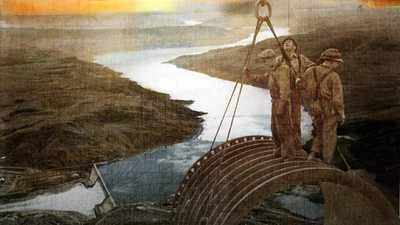 For the making of the film Grand Coulee Dam, dam operators agreed to open the spillway. Associate Producer Lauren DeFilippo tells the story.